tl;dr: Traditional lead scoring is inefficient in today’s economy. Dawn Poulos, VP of Marketing at Gliffy, has a few tips to help you boost your lead velocity rate. That’s my mandate here at Mattermark, to help build this incredible company to something much bigger than it is today. LVR tells me how I’m doing. LVR is simply a measure of the growth in qualified leads & pipeline, month-over-month, every month. What Lemkin cares about is that there is a consistent formula and process for qualification, how that qualification is done, he says, is up to marketing. And therein lies the rub. In 2015, 80% of marketers reported that their lead generation efforts were only slightly or somewhat effective. 68% went on to say that increasing the quality of leads is their top priority for 2016. While Marketing’s processes and formulas for qualification may be consistent, they are also are wrong – or at best, incomplete. I’m here to explain to you why that is. 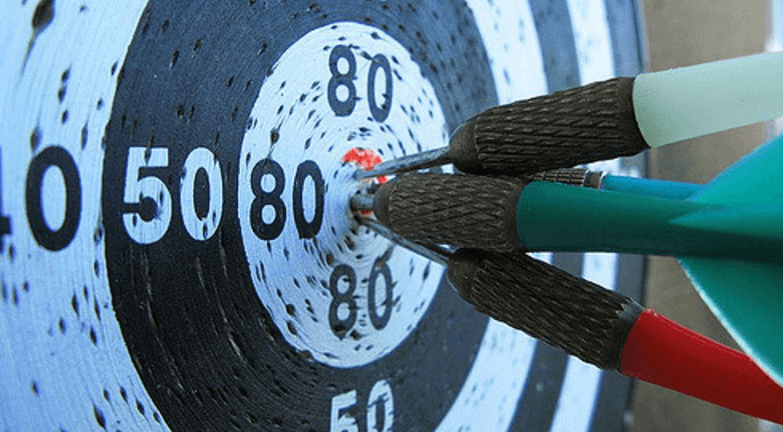 While there are a number of factors that play into lead qualification, I want to talk about the two issues that materially affect the accuracy and velocity of the Marketing Qualified Leads (MQLs) we send to Sales. Engagement and the interactions that leads have with your website, email campaigns, marketing assets and social accounts are incredibly important. However, as the above survey results illustrate, marketers are finding out that behavior can paint a misleading picture as to who is really qualified to become a purchasing customer. Let’s say two leads come in, Sam and Nick. Sam is an enthusiastic lead who registered for the product webinar, read two blog posts, and perused the ‘About Us’ page. Nick on the other hand, seems more of a tire kicker since he only watched a demo. 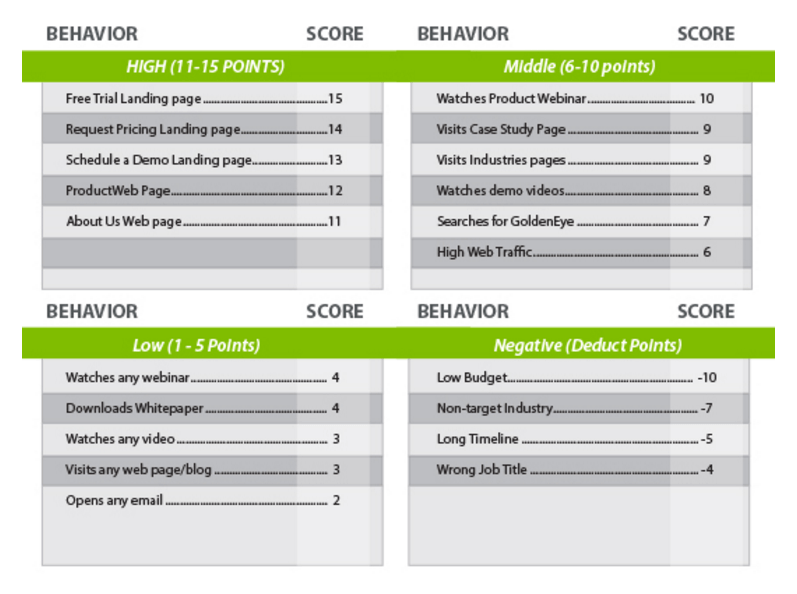 According to a lead score based on behavior, Sam, at 27 points, is the clear Marketing Qualified Lead (MQL) and Nick, at only 8 points, requires more nurturing. Growth means bigger budgets. Growth means that new technologies are needed to support a company’s trajectory. Yet in the lead scoring models advocated by most, none of this matters. Behavior trumps growth and Nick is still unqualified. So while behavior tells us a lot, it doesn’t tell us the whole story. Cold, hard company facts give us context to behavior, for a far more accurate qualification formula. If you’re a fast growing SaaS company, post Series A, you have four to six quarters to get to $10M ARR. From there, it only gets harder, so sitting on your hands isn’t really an option. But that’s exactly what marketers do with lead scoring. The problem with progressive profiling is that it’s a drawn out process that requires multiple website visits by leads and a willingness fill out additional forms. Or to put it more succinctly: time and friction, the two factors we want to decrease in the race against our competitors. Progressive profiling has strong potential to yield deeper insights into the buyer’s journey, but time and friction is just bad process. When there is so much pressure for hyper-growth, marketers don’t have the luxury of waiting months, or even quarters, for their leads to provide them the contextual information needed for accurate qualification. In an instant, and without additional time and friction, the contextual company data marketers need to more accurately qualify raw leads is available. This gives marketers the opportunity to use progressive profiling in less intrusive ways that subtly gathers valuable information to help Marketing and Sales personalize the experience. For example, question on business issues or key pain points. The customer understood that once companies hit a certain number of employees, the need would arise for their software. So they tweaked their lead scoring formula to include Mattermark employee counts. Leads received a significant score increase when the companies they worked for hit a specific number of employees. The effect was that those leads became qualified much sooner than they would have just using behavioral data. Those MQLs converted to SQLs at a faster pace and a higher rate than they had ever previously experienced. If you want to know about the types of business data that can help you better qualify leads, Mattermark has made their full database of companies available for free. Go to Mattermark and search for some of the companies that make up your leads an and see what additional intelligence and insights you can gain into them. A limited set of data points are available but you can easily unlock the full set of data with a free trial. Featured Image via Flickr user Erika under CC BY 2.0. Image has been cropped.